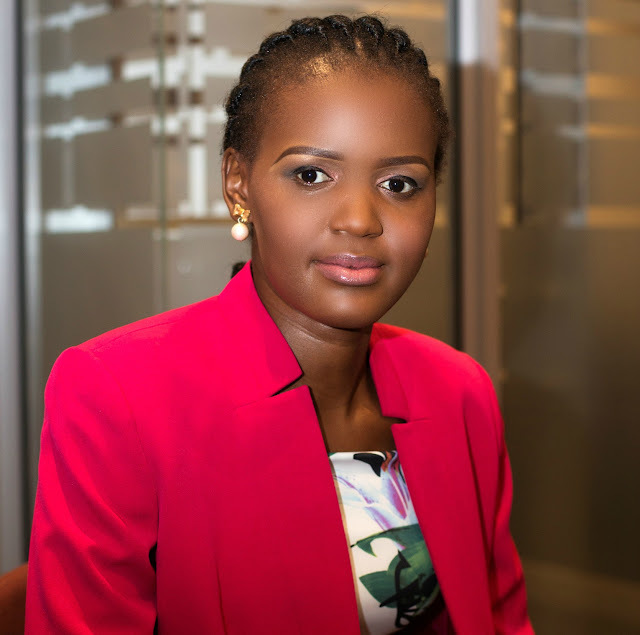 Kenyan gender advocate Vivian Onano is one of the key speakers at the Liberty VUKA Knowledge Summit – which takes place at the Sandton Convention Centre on Wednesday, November 1 and Thursday November 2. The inaugural event, with the theme, Awaken Your Curiosity, features an impressive array of speakers including US mogul and entrepreneur Russell Simmons; Nobel Prize-winner Wole Soyinka; founder of Black Girls Code Kimberly Bryant, who has been listed as one of the "25 Most Influential African-Americans In Technology"; CEO of Moving Brands Inc. Mat Heinl and What’s Your Moonshot? trend and innovation strategist, John Sanei. Onano – who is the partnerships manager at SEED Project, Global Youth Ambassador for Water Aid and vice-chair of Global Youth Empowerment Fund Board of Trustees – has been profiled by Forbes as “One to Watch”, New African Woman featured her as one of the “30 under 30: Faces Changing Africa Now” and she was a recipient of the 2016 MTV Africa Award under the category “Africa Re-imagined”. What will you be talking about at the VUKA Knowledge summit? We know your subject is Youth and Women + Redefining Gender Roles? but can you tell us a little bit more about this? My focus is going to be on the importance of education to liberate women and youth to achieve their full potential in the society. Definitely look at the challenges that women face in the workplace and in the society, and young people finding themselves in a chaotic world that we live in today. All this will be tied to the importance of knowledge and information in redefining gender roles that can lead to the success of businesses and promote cohesive existence in diversified communities. The power of equipping yourself with the right knowledge and how that can transform your life. The difference between me and any other kid in the village is the fact that somebody gave me access to knowledge, information and education that in turn changed the trajectory of my life. Where you come from doesn’t determine your power. As an advocate for women and girls across the globe, what role do young people play in the pursuit of gender equity at home and abroad? Africa today is more youthful than it has ever been in the history of civilization and young people have a greater role to play in achieving social, economic and political stability on the continent. When it comes to the issue of gender equality; it is still a feared topic. Partly because a lot of focus is on women empowerment and coming from a society that is still male-dominated it’s not an easy conversation to have. Lately, I have tried to personalize the need to achieve gender equality more so with male friends or youth leaders. That way I drive the message home much faster. It is important to continue having open conversations why achieving gender equality is good for business, economy, political stability and the overall cohesive existence of communities. The same case abroad. That being said, I continue to see more and more young people interested in advocating for gender equality and more business leaders are making it a priority too. In addition to your role as an advocate, you also work a great deal on partnerships. Why does collaboration matter? Collaboration is very important in the world that we live in today. We continue to speak about the same developmental/business challenges because people are working in silos. Collaboration is important for sharing ideas, best practices and maximizing the limited resources available. What is the biggest lesson you have learnt in business/from business? The biggest lesson is to always be dynamic and have a strong team. It is important to surround yourself with people who are smarter than you if you are to succeed. That gives room to new ideas and possibilities. You should be open to taking “NO” from people and use those “No’s” to improve yourself. What advice would you give to young entrepreneurs or those looking to start their own business? Make sure your business venture/idea is in line with your passion; it’s not just about making money but having a sustainable impact in the community. Be open to taking calculated risks; they may be scary but totally worth it at the end of the day. You will only learn by doing; so, start now. I have come to appreciate my failures because they have enabled me to be a better person. At the beginning, it was not easy and sort of affected my self-esteem. I am that person who never wants to believe that am not good enough, and that is what I initially thought failures translated to. But that has changed, I have come to celebrate my failures however frustrating they are. I may cry the first day but tomorrow I will wake up smiling and ready to conquer again. It’s all in the mindset and as human beings, we have control over that. Strong communication & people skills, discipline, hardworking, dependable, passionate. The world owes you nothing; go out into the world and chart your own path. Remember, your journey is unique with different opportunities and challenges, so avoid comparing your path to your friends or former classmates. Go at your own pace and you will finally get there; enjoy your journey and make every second count. More and more I see young people seeking mentors and this is very important in your career path. Your career path may not be similar to your mentor’s but the advice and guidance make a big difference. Forgetting their passion and going into careers because of money. Most have ended up very frustrated with life. With all the challenges that women and girls face around the world, as a millennial, what gives you hope? What gives me hope is that there are more and more governments, businesses, and civil society groups making women and girls issues a priority. People are beginning to understand why investing in women and girls is a smart move with great returns for the economy and well-being of communities. For more information on the summit go to www.vukasummit.co.za. Tickets for the Liberty VUKA Knowledge summit are available from www.ticketpro.co.za.